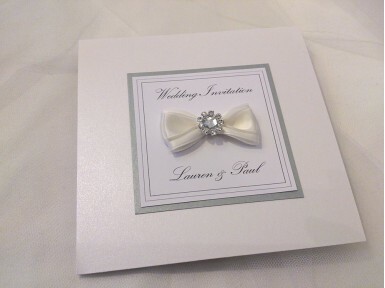 A simply stunning pearlescent pocketfold with handcrafted bow and diamante detail. 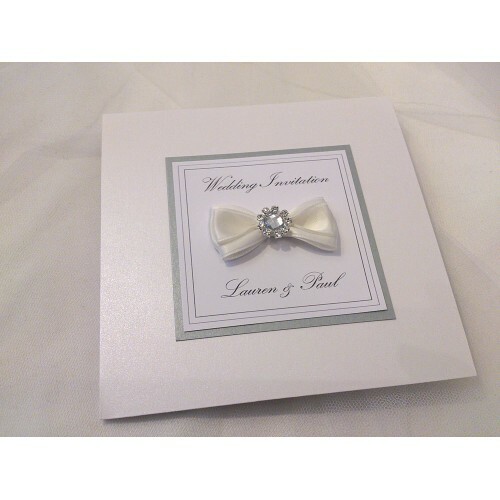 Inside, the wedding details are printed with matching pearlescent border. A variety of card and ribbon colours are available.